Is This The Saddest Dog In The World? Or One Of The Nicest? 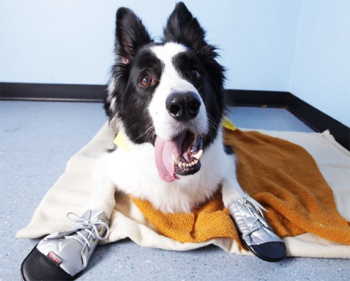 Bentley the Border Collie is probably the saddest Dog in Britain, if not the world. 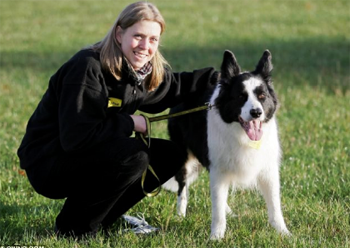 Bentley the Border Collie isn’t difficult in any way though, the main cause of all of his ails is anxiety which started soon after his first human’s death and it didn’t help that his second human was unable to cope with his constant need for reassurance, cuddles and company. Dogs have a tendency for wandering around in packs and a pack of Dogs is a bit of a pawful for any Cat,all of which means it’s a good job we can climb or so this Cat the Cat who writes blogs thinks, but I am veering away from the star of my blog today Bentley the Border Collie. Unfortunately if the doorbell rings Bentley the Border Collie goes into orbit, yes you guessed it this distressed Doggie is frightened of not only the doorbell but what might also be outside in the dark. Not all is doom and gloom for Bentley the Border Collie the lady who manages the Dog’s Home where he is currently spending his days, at night he is taken home by one of the carers who at first felt sorry for him and now just enjoys his company, and that is because this blue bow wow’s behaviour changes completely when he is surrounded by humans and happily he loses all his little ways, problems and insecurities. most of the day and night. Bentley loves human company both adults and children and when with them will happily play, fetch the usual stuff that fits in a mouth and then snuggle down and curl up on a conveniently situated lap after a long walk. Bentley the Border Collie just needs is a second chance really he has had a difficult time so far in his short life and needs to forget the trauma of losing a loved one when he was young and enjoy the rest of his life being just a normal Dog let’s hope that this Christmas Bentley the Border Collie finds a home along with all of the other animals who are in shelters. Unfortunately the people who won last time can’t enter this time! Question:	Where can you buy copies of my wonderful books? All correct answers (written on a postcard) and sent to me at my email address will get a really big prize – no not a Motor Yacht that’s what I want. Mmh it still doesn’t seem as though I have got the quiz format quite right yet! I may try again next week which of course means there will be more prizes up for grabs so do visit my blog again soon. Did I ever tell you I like having you here!